Transform your life in 2015. It's a lot easier than it sounds. You don't need to make big changes in order to make a big impact. In fact, it's the small behavioral changes you make, and stick to, every single day, that will make the greatest difference in your ability to succeed. Here's how . . . Think different. Act different. Succeed more! It's as simple as that. You don't need to make big changes in order to make a big impact. In fact, it's the small changes you make, and stick to, every single day, that will make the greatest difference in your success. Here are five simple, yet powerful resolutions that have the power to transform your life. "These are not new ideas," you say? Then you're missing the point. It's not the idea that matters, it's your behavior that counts. Choose to change your behavior. 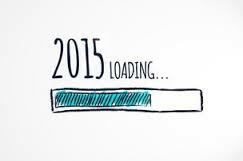 Make a behavioral resolution that will turn 2015 into your most incredible year ever. Start each day with a positive attitude! A positive attitude is your best defense against the many challenges that are sure to disrupt your well-thought-out plans. Begin each day by looking at all the things you have to be thankful for and tell yourself it's going to be a terrific day, no matter what happens! Not only will you feel better, but you will notice that you have put everyone around you in a good mood too. According to to a recent Gallup Poll study, people who received praise or recognition for their work in the past few days were significantly more productive at work and happier in their lives. Make it part of your routine to let people you work with (and live with) know that their contributions, their help, their support and even their friendship - is valued and appreciated. Stop procrastinating and start focusing on your most important tasks. It's not that hard, really! Simply plan and do one important thing every single day that will bring you closer to your biggest goal. Just one thing a day means you will accomplish five things in a week or 20 things in a month. At this rate, you will be 100 steps closer to achieving your greatest goal in just six months! This is a life-changing resolution. Do it and succeed . . . guaranteed! It's as simple as that. Like our bodies, our minds need exercise. So learn something new every day. Expanding your knowledge base will not only keep you interested in your job, but it will increase your value to your boss and to your company. And its never been easier to collect information about anything. Online seminars, papers and videos are available 24/7, to teach you and entertain you in the process. Speak up. Volunteer for high visibility projects. Let everyone see how smart, creative, attentive and pro-active you are. This is the stuff that leads to recognition, rewards and promotions. Don't be shy about your contributions. Make an effort to be visible in 2015 and reap the rewards of your hard work. Choose one, choose two or choose them all. But resolve to transform your life and make 2015 your best year ever! Dear Orna: My boss gives me too much work! Dear BURNED OUT: Too many people today are paranoid about losing their job so they are afraid to say: "No!" to their boss. But keep in mind, if you're stressed out and burned out, the quality of your work will suffer . . . Always Wear Clean Underwear and Other Motherly Wisdom That Still Applies Today. "Always wear clean underwear," said Mom. Advise as relevant in 1915 as it is in 2015! Listen up if you use Facebook or Instagram . . . this one's for you! What was literal in 1915 applies to your virtual and digital underwear in 2015. You never know who will be following you online and making quick assumptions about your values and perspectives - so be careful . . .
TAXES . . . Can You Deduct Your Greatest Business Expense? April 15th is TAX Day. How many deductions can you come up with? What else can you write off? Are there any hidden cracks or loopholes you've missed? How about E-mail? Think about it! What does e-mail actually cost you? Figure it out . . . .
© 2014 - 2019 ROI Marketing Managemnent - All Rights Reserved.